Leafhopper Graphocephala coccinea. 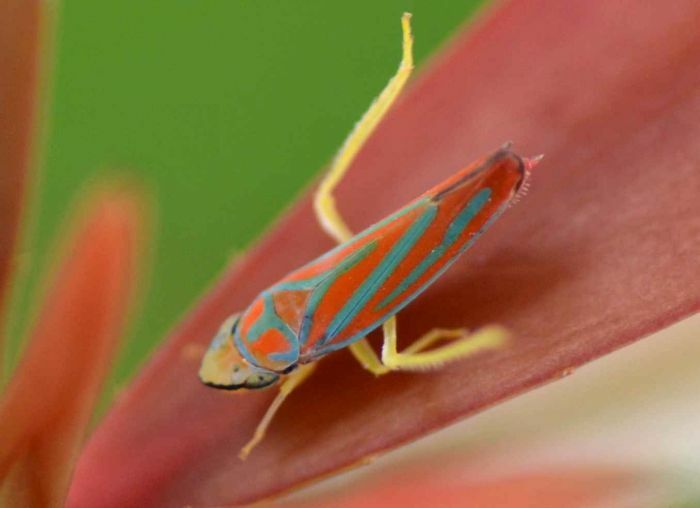 Common names include candy-striped leafhopper, red-banded leafhopper, scarlet-and-green leafhopper, and red-and-blue leafhopper. These animals remind me of tropical fish and are just amazing. Size: approx. 5 mm. Photo: 07/20/11, 11 am. 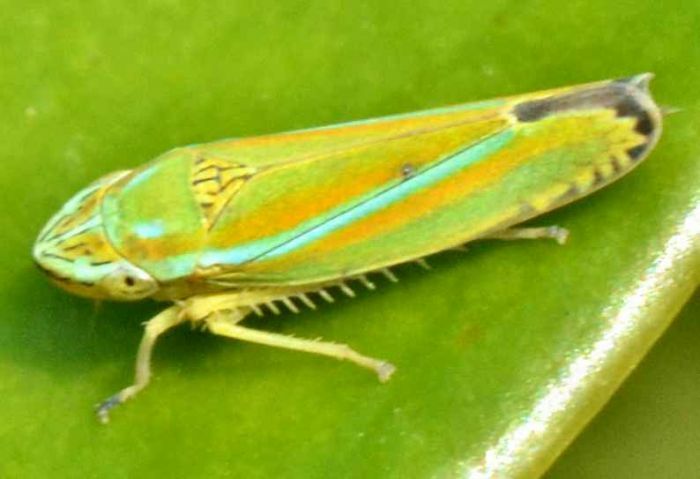 A close relative of the former leafhopper: Graphocephala versuta. It is even smaller G. coccinea and reveals its amazing color patterns only in the magnified photograph. This species is more on the greenish side and has a black sawtooth markings at the apex.